The Culprit: Excess Hydrogen Proton Accumulation! For over a century lactic acid was believed to be the cause of exercise induced acidosis, along with the fatigue and inflammation that accompanies it. ( The CDC says inflammation adversely affects 65%-85% of all chronic diseases). But recent studies have shown this is not the case (Robergs 2001, 2004). It has been determined that accumulation of the hydrogen proton is the cause, not lactic acid. The problem comes from a misinterpretation of the evidence. Lactic acid is made up of one hydrogen proton (hydrogen for short) and one lactate ion (lactate for short). In the body lactic acid dissociates into its constituent parts – hydrogen and lactate. Dissociates is a fancy term for breaks apart. Seeing that lactate and hydrogen both increased in the muscle cell as exertion increased, it was assumed that lactic acid was therefore responsible for acidosis. The term lactic acidosis was coined. This, however, was an incorrect reading of what was actually taking place. The hydrogen that was accumulating was caused by ATP (adenosine triphosphate) hydrolysis, not lactic acid dissociation. ATP hydrolysis is the way the body provides energy to the muscles during exertion. As demand for energy grows, more ATP hydrolysis takes place and therefore more hydrogen is generated. Lactate’s presence serves as a buffer so the cell can keep operating even as hydrogen accumulates. Eventually the need for energy overcomes the cell’s buffering systems and hydrogen accumulates with no buffering leading to acidosis. Since lactate increased to try to buffer the increasing hydrogen, it was assumed more lactic acid was being formed and dissociating. This completely missed the role of energy generation as the true cause of the hydrogen increase causing muscle fatigue. Lactate’s buffering role was also misinterpreted. Although we have been discussing the hydrogen proton as if it exists by itself, it does not. A hydrogen proton that dissociates or deprotonates immediately seeks out another atom, ion, or molecule with which to attach itself. Hydrogen does not like to be alone. In reality what hydrogen really wants is to return to its natural state as a water molecule and become balanced once again. Water is one of the most unique molecules in nature. It has an amphiprotic nature, which means it can act as an acid or a base depending on what the local conditions call for. This is why the water molecule accepts the hydrogen proton. This then is the power of water; it can transform itself to suit its environment and always seeks to maintain an equilibrium between the positive and the negative. When a water molecule dissociates through a process called self-ionization, it becomes a hydrogen proton (H+) and a hydroxide ion (OH-). This is rare in bulk water but it does happen in metabolic processes all the time. An example would be ATP hydrolysis where a water molecule reacts with ATP and the hydroxide remains in the new molecule ADP (adenosine diphosphate) while the hydrogen proton and a phosphate ion are cast aside. This is the source of the hydrogen proton discussed above. The hydroxide ion is negative and the hydrogen proton is positive so there is an immediate electro-chemical attraction. When the hydroxide ion and the hydrogen proton meet they immediately bond to once again form a water molecule. The basic but inexact equation looks like this: H+ + OH= H2O. The more accurate equation is where hydronium combines with hydroxide to form two water molecules: H3O+ + OH- H2O + H2O. When hydroxide binds with hydrogen (hydronium) to form a water molecule(s) it is said to neutralize the hydrogen. Most alkaline waters primarily claim to add or include either minerals, trace minerals or electrolytes. This is the basis of their alkalinity. The negative ions (hydroxide) are only secondary but it is the negative ions that should be primary. Let me explain. AquaOH-! Your muscles best friend during exercise! The problem with most alkaline waters is their hydroxide is not a pure hydroxide, it is attached to a mineral. It will still work but once the acid is neutralized the mineral is left behind. Still this mineral is not in the form of a salt but a cation and the body can therefore either utilize it or remove it more easily. The best water is one that is a hydroxide rich water, one with more hydroxide (negative ions) and less minerals. 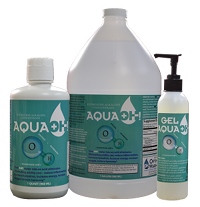 The product with the HIGHEST HYDROXIDE level on the market is AquaOH-! Eliminate excess hydrogen proton build-up! Hydrogen buildup is the source of metabolic acidosis in the muscles during exercise. AquaOH-! is a natural acid eliminator and not just an alkaline buffer! The greatest benefit is AquaOH-! starts the process of acid elimination by converting the acids into harmless water and there are no by-products since AquaOH! is pure hydroxide. Even mineral hydroxides still create only water and the leftover mineral ion. Buffering fails to alter the underlying problem of the presence of acidity. Therefore, hydroxide is superior to alkaline minerals alone. AquaOH-! 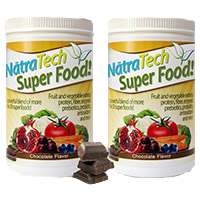 will help the body combat metabolic acidosis along with the fatigue and inflammation that accompanies it. Acidity and inflammation go hand in hand. By chemical definition, acidity is a problem of too much hydrogen (H+). Too much acidity in the body can stem from diet, exercise, and other life style factors. It is generally recognized that excess acidity in the body creates inflammation which leads to many other disease conditions. Acidity causes a lack of oxygen and a lower pH condition in which pathogens flourish. By concentrating on maximizing the free hydroxide ions present and removing as much of the minerals as possible, AQUA OH–! stands by itself in its ability to eliminate acid and thereby combat the metabolic acidosis and inflammation. Robergs RA, 2001. Exercise-Induced Metabolic Acidosis: Where do the Protons come from? Sportscience 5 (2), sportsci.org/jour/0102/rar.htm. Robergs RA, Ghiasvand F, and Parker D. Biochemistry of exercise-induced metabolic acidosis. Am J Physiol Regul Integr Comp Physiol 287: R502–R516, 2004.